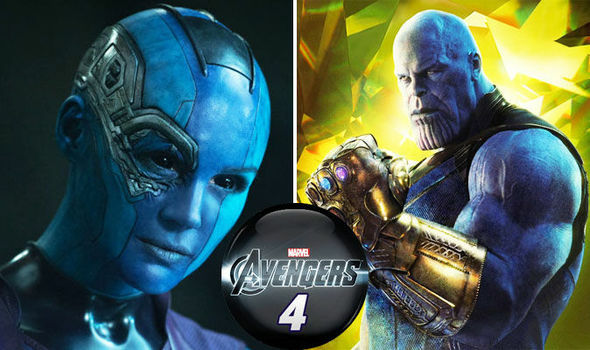 Avengers 4: Nebula star Karen Gillan teases Thanos Infinity Gauntlet scene amid reshoots? AVENGERS 4 star Karen Gillan has teased a scene with Josh Brolin’s Thanos in a new post. Will Nebula wield the Infinity Gauntlet?